Prosecutors are looking into allegations that Ghosn syphoned off some $5m from funds allegedly transferred from Nissan to a dealership in Oman( Reuters). 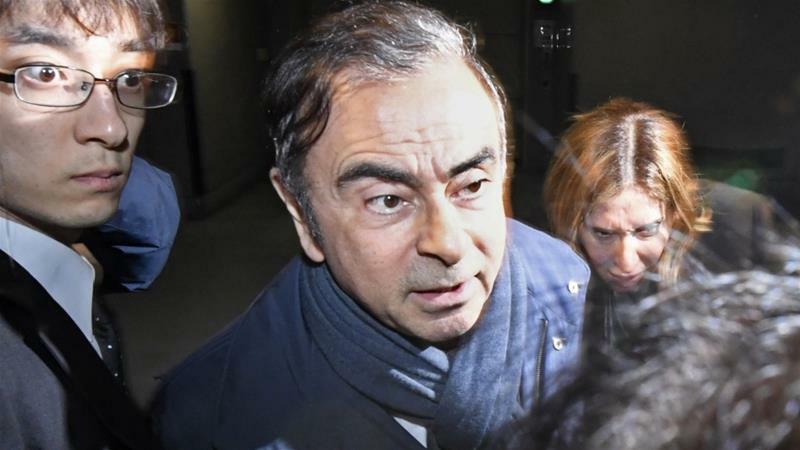 Ghosn denies all allegations and lashed out in a video messageshown on April 9at what he termed a “plot” by “backstabbing” Nissan executives scared of closer integration with French partner firm Renault. Ghosn’s wife Carole has increasingly become a key figure in the case and was questioned by authorities on Thursday. According to a source close to the matter, some of the $5m for the yacht was funnelled to a British Virgin Islands-listed companywhich has Carole Ghosn registered as president. He spent 108 days in an initial period of custody, in conditions he said he would not wish on his “worst enemy”, deprived of his watch, forced to sleep with the light on and forbidden from contact with his loved ones. Once hailed as Nissan’s saviour, Ghosn is fighting to restore his reputation as the firm says an internal investigation uncovered “substantial evidence of blatantly unethical conduct” by the former boss. His lengthy detention has sparked some criticism of the Japanese justice system, derided by some as “hostage justice” as suspects can be held for a long time without formal charges.